Cost: Admission by donation for all participants. Non-members are encouraged to join CAMMAC. Rehearsed reading of the Messe solennelle de sainte Cécile, by Charles Gounod, for choir, orchestra and STB soloists. Note: in the reading we will omit the Offertoire (4th movement) and the final prayers (addendum to the Mass). All choristers (SATB) are welcome. INSTRUMENTS NEEDED: oboe, clarinet in A, Bb+C (2 parts), bassoon, trumpets in C+D (2 parts), cornets a pistons in G, A+Bb (2 parts), horns in D, Eb, F+G (2 parts) and Bb, C+D (2 parts), alto, tenor and bass trombones, timpani, cymbals, bass drum, harp, and strings. As this is a reading, you are not expected to know the music perfectly beforehand. We do ask, however, that instrumentalists be ready to play through the piece. Music scores are available; see below for details. For further details about playing in a CAMMAC Ottawa/Gatineau Orchestra, please consult this document. Pre-registration is highly recommended for string players; contact Khalid at kmad@rogers.com or 613-829-7277. Pre-registration is necessary for all other instrumentalists; contact Elizabeth at arts.lizajane@gmail.com or 613-724-3719. Priority will be given to CAMMAC members up to September 4. Orchestral music is available in advance; please contact Christiane at christianewilke@gmail.com. For choristers, pre-registration is not necessary, though recommended. For information: Pierre at pierreto2@gmail.com or 613-234-1297. Vocal scores will be available at the rehearsal; they are also available on the choral wiki site. They can be obtained in advance upon request; contact Pierre if you’d like them (pierreto2@gmail.com or 613-234-1297). For those interested, there are midi files to learn choral parts on Cyberbass.com; some can be downloaded from LearnChoralMusic.co.uk. The Mass is also onYouTube. Born in Nova Scotia, JAMES CALKIN is Associate Director of Music at Christ Church Cathedral Ottawa. As such he is conductor of the Cathedral’s Girls’ Choir and principal accompanist for the Choir of Men and Boys. Both ensembles maintain a busy schedule of liturgical, concert and recording activities, as well as domestic and international tours. James is also active as organ soloist, conductor and orchestral and chamber musician, throughout Canada and internationally. His activities include numerous recitals in Canada, the United States, the United Kingdom, Denmark, Germany, Hong Kong and Singapore, as well as performances on the CBC’s English and French networks. 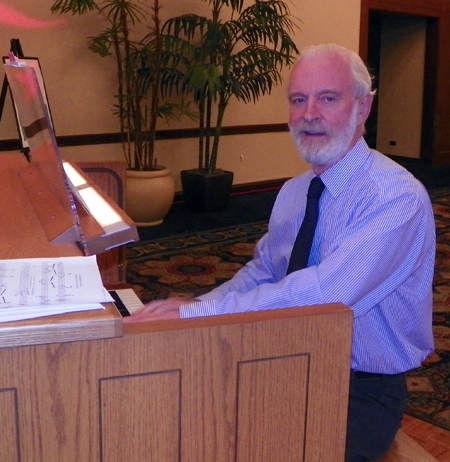 He is also a frequent accompanist and continuo player for ensembles throughout Canada’s Capital Region. 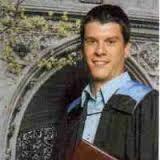 James studied at Dalhousie (B.Mus. with a University Medal) and McGill Universities (M.Mus.) as well as the prestigious Eastman School of Music, under David MacDonald, John Grew and David Higgs. At Eastman he was a graduate assistant to early music legend Paul O’Dette. In 1996-1997 he studied in France with organists Louis Robilliard (Lyon) and Dominique Serve (Aix-en-Provence). 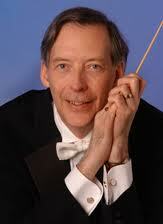 He’s also studied conducting with Denise Ham, Joseph Flummerfelt, Simon Carrington and Hugh Floyd. He has also been won prizes in numerous well regarded competitions. CHARLES GOUNOD was one of France’s most well-known composers of the romantic era. He studied at the Paris conservatoire and later took up the position of organist in the same city. Written by a deeply religious man, the Messe solennelle de sainte Cécile (1855) was one of the last masses of that era that was actually used in liturgical settings and was definitely one of the best. One music lover describes it as having “a stirring Credo, a galvanizing Kyrie and a glorious Agnus Dei” (Amazon). Cost: Members $10, Non-members $15. Feeling at ease when you are performing contributes immensely to the quality of your voice and presentation, so it is an important asset to every singer/musician. Cathy will teach participants techniques to enhance the performance experience. Cathy has been practicing as a psychologist for close to 15 years. Throughout her career she has done a lot of work helping people with problems such as depression, anxiety, eating disorders, and job dissatisfaction and burn-out. Several years ago, with her children grown, she resumed activities that she had enjoyed as a child and teenager—running, dancing, and music. She quickly saw the application of her knowledge and experience in clinical psychology (theories about how we learn, and treatments for anxiety disorders) to the world of sport and performance. It was then that she began exploring the newly emerging field of sport and performance psychology and over the past 5 years has worked with athletes and performers to help them achieve optimal performance and enjoyment from their chosen pursuits. Registration required: Anna Lehn, 613-697-2613 or anna.lehn@bac-lac.gc.ca. with Ray Sealey and Isabelle Vadeboncoeur. Location: at a private home in Ottawa south. Cost: Admission is by donation. The suggested donation amount is $20. For donations exceeding $20, a charitable tax receipt can be issued for the amount exceeding $20. There will be a benefit concert on Saturday evening, October 25, 2014, 8pm, in support of CAMMAC. The featured musician will be a long-time friend of CAMMAC, Ray Sealey, guitarist, songwriter, and singer. The concert, which is entitled “Waltzing in the Road”, is a collection of ballads, song stories, some blues and a touch of country, punctuated by a few guitar solos and some interesting background anecdotes. Ray will be joined by Isabelle Vadeboncoeur, who also has a long-standing association with CAMMAC. Reservations: To attend this concert please contact John Royle, john.royle@sympatico.ca or 613-233-6345, including your contact information and the number of seats you would like to be reserved. Seats are reserved on a first-come first-served basis, so reserve sooner rather than later. Born in England, Ray Sealey emigrated to Canada, earned a degree in English Literature from the University of Western Ontario. He was always active in the folk music scene in those years and toured Europe in the late 60’s with a Canadian folk group. However, classical music finally took the more important place in his life while studying classical guitar at the Royal Conservatory of Music in Toronto. This culminated in studies with Alexandre Lagoya in both Canada and France, the latter with support from the Canada Council for the Arts. Ray taught music at the University of Western Ontario and subsequently at the University of Ottawa. He also worked as a host and documentary maker for the CBC in Ottawa. It was during this period that he became increasingly active in production and arts management. In 1997, Ray moved to Montreal and later to the Laurentian Mountains north of Montreal in Québec to become Executive Director of CAMMAC (Canadian Amateur Musicians/Musiciens amateurs du Canada). He retired from that organization in 2007 following the completion of a major rebuilding project at the CAMMAC Music Centre in the Laurentians. Ray has now returned from the classical world to his early roots in folk music. His love of poetry and the folk songs that led him to the guitar are now combined in new musical directions and discoveries. He spends summer in the Laurentians and winter in a camper in any part of Florida that looks interesting. His venues include folk festivals, folk clubs, house concerts and the occasional café. Location: at a private home in Old Ottawa South. All participants will receive one hour of coaching as part of a chamber music group. Participants may sit in other coaching sessions at no additional cost. The fee is payable by cash or cheque at the workshop. If you would like to attend but cannot pay the (full) fee, please contact the organizers. We aim to make the workshop accessible to everyone who is interested. Do you enjoy playing chamber music, or would you like to get started? Do you regularly play with friends, are you becoming more ambitious in your goals, or would you simply like to make chamber music connections? This workshop is for amateur musicians who would like to share the love of music, meet other players, and get supportive coaching and advice. You can register for the workshop individually or as a group. Pre-formed groups (of two to eight players) will prepare between one and three movements of a piece for the coaching session. Individual players who are not yet playing in a chamber music group will indicate their instrument, level, and interests on the registration form. We will help you form a group and make suggestions about repertoire ahead of time. Registration is required and essential. Spots are assigned on a first come, first served basis. To register, please use the online registration form for individual players or the form for pre-formed groups. Jenny Regehr is well known across the country for her solo recitals, duo and chamber music performances and Lieder collaborations. For many years she was the harpsichordist and pianist of the Manitoba Chamber Orchestra and has been featured in concerto performances with both the MCO and the Winnipeg Symphony Orchestra. As a faculty member of the Glenn Gould School of the Royal Conservatory of Music in Toronto, Ms. Regehr was a senior piano and pedagogy instructor for fifteen years and remains a senior examiner for RCM Examinations. As a versatile teacher, her studio has included those embarking on performance careers, gifted young pianists and teachers wishing to further their training, along with professionals in other fields who are passionate about the piano. Since moving to Ottawa, she has established a thriving studio and has become a pedagogical resource to the musical community. She is frequently invited to give master classes and workshops and to adjudicate festivals and competitions, both in Canada and overseas. She has taught and adjudicated extensively at the Conservatories of Beijing and Shanghai as well as in Hong Kong. We look forward to hearing from you! Questions? Please email Bill Singleton (bill.singleton@outlook.com). Organist and choir master Alan Thomas leads the rehearsals. Rehearsing with Alan is always fun — his piano accompaniment will jazz up any chorus in a surprising way! He will go over all the choruses to be sung on December 5. Usually, we look at about half-a-dozen choruses every week, rehearsing some of the more difficult ones more than once. A video of the 2011 rehearsal of the Hallelujah chorus is here (4 minutes). Soloists: Sarah Halmarson, soprano; Caroline Gelinas, alto; François-Olivier Jean, tenor; Cairan Ryan, bass. Cost: Singers $10; Audience $25. Tickets go on sale November 8. Seating is limited. Get your tickets early. Singer tickets also available at optional rehearsals. This year the CAMMAC choir and orchestra will perform two very enjoyable pieces: The Requiem by Bob Chilcott and Antonin Dvorák’s Te Deum. Bob Chilcott is a contemporary composer based in Oxford. He wrote his Requiem in 2010. The music is beautiful and reflective; and the melodies, rhythmic pulses and pacings of its components make it an enjoyable work for singers and instrumentalists alike. Antonin Dvorák’s Te Deum is a festive piece that incorporates energetic folk rhythms and peaceful contemplative elements. It was composed in 1892 and first performed in Carnegie Hall. We are thrilled to once again have Marg Stubington as the director. Click here for a one-page printable announcement sheet. There is no fee for orchestra members, however we encourage contributions towards our costs ($20 would be ideal, though any amount would be appreciated). Location: St. Martin’s Anglican Church, 2120 Prince Charles Road (directions are here). 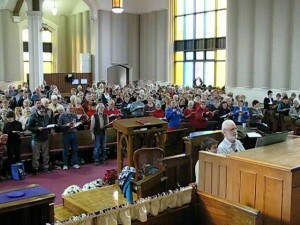 Choristers can practice the Dvorak with the help of the Cyberbass web site at http://www.cyberbass.com/Major_Works/Dvorak_A/dvorak_te_deum.htm. 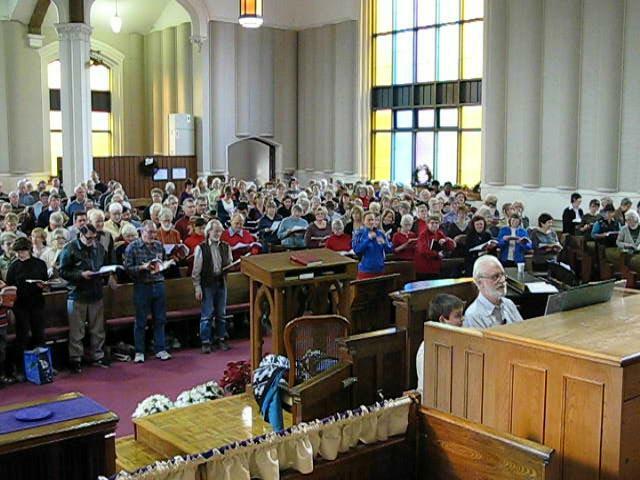 The CAMMAC Ottawa/Gatineau Orchestra is not a permanent group; we do three projects per year. You are very welcome to join us for one or two or all of them. We have prepared a short list of specific suggestions for playing with this group that can help to make the rehearsal process more smooth; please consult this document. Instrumentation: violins, violas, cellos, double basses, 2 flutes, 2 oboes, 2 clarinets in Bb and A, 2 bassoons, 4 horns in F, 2 trumpets in F, 3 trombones, tuba, timpani, bass drum, cymbals, triangle. Orchestra rehearsal attendance: Section leaders need to be able to attend all rehearsals. Other instrumentalists may miss one rehearsal. The dress rehearsal is mandatory. All Saint’s Anglican Church, 347 Richmond Rd. just west of Churchill (directions are here). Choristers contact Dawn Conway at 613-724-2954. The registration form is here. Strings players contact Khalid at kmad@rogers.com. Wind players and percussionists contact Christiane at christianewilke@gmail.com. Under the direction of Marg Stubington. Location: All Saints Anglican Church, 347 Richmond Rd. just west of Churchill (directions are here). Those of you who participated last year know that we worked on Bach Brandenburg 3 and other pieces, but this year we thought we would explore something different from the baroque era, so here is your chance to get to know French Baroque repertoire. With James Calkin and Kevin James. Location: Details will be provided on registration. Cost: CAMMAC members $10, non-members $15. The workshop is open to all string players. We are very fortunate in having James Calkin direct this workshop, with baroque strings specialist Kevin James coaching us in this challenging but fun repertoire. Both James and Kevin are well known to CAMMAC members, and highly regarded baroque specialists who have given frequent concerts in the region, and are strong supporters of CAMMAC. Registration: Khalid at kmad@rogers.com or 613-829-7277 (home), 613-762-4717 (cell). You may remember the third and fourth movements of Morten Lauridsen’s Lux aeterna which we sang at the annual concert in 2013. Here’s your chance to go back to this wonderful piece, and try all the movements. With Lee Carter, conductor, and Scott Richardson, accompanist. Date: Sunday, March 29, 2015 (note the change from a previously advertised date). Location: Woodroffe United Church, 207 Woodroffe Avenue, between Richmond Road and Carling Avenue. If pre-registered: $10 for members of CAMMAC, $20 non-members. For those who do not pre-register, $15 for members of CAMMAC, and $25 for non-members. For registration: Pierre Tourigny 613-234-1297 or pierreto2@gmail.com. We expect that scores will be available a few weeks prior to the event. If you’d like to get the score in advance of the event itself, please contact Pierre at 613-234-1297 or pierreto2@gmail.com. You can listen to the piece on YouTube at https://www.youtube.com/watch?v=wZX5wXVY-Ks (and other addresses). Practice files can be found on Cyberbass, as well as on singingpractice.co.uk (downloadable midi files) or johnfletchermusic.org (downloadable MP3 files). Here’s some information regarding the piece, edited from a text found at http://www.sfchoral.org/site/morten-lauridsen-lux-aeterna/. American composer Morten Lauridsen composed Lux Aeterna in 1997, the year his mother died. This work, like Fauré’s Requiem for example, shows a deceptive simplicity, yet a strong capacity to touch the listener through music. Lux Aeterna is known to bring listeners to tears. The five movements of Lux Aeterna are based on various references to light from sacred Latin texts: perpetual light, light risen in the darkness, Redeemer-born light from light, light of the Holy Spirit, eternal light — all supporting an earthbound spirit seeking not only mercy, understanding, and consolation but also renewal. Lauridsen uses the beginning and ending of the traditional Requiem Mass to open and close Lux Aeterna. The second movement, “In Te, Domine, Speravi” (Lord, I have hoped in you), opens with a chant from the hymn “Herliebster Jesu” (Dearest Jesus) published in 1677, addressed to the Lord, to whom is directed the gentle plea for mercy. The third movement, “O Nata Lux” (O light born [from light]) is the centerpiece from which all of the other references to light seem to emanate. It is wonderful a cappella choral singing. In the fourth movement, “Veni, Sancte Spiritus” (Come, Holy Spirit), voices soar to high notes on both the words lucis (light) and fletu (grief). The final movement, “Agnus Dei – Lux Aeterna” (Lamb of God, Eternal Light), begins with a long, whispered prayer on behalf of the dead, swells into full voice on the phrase lux aeterna, and ends with an optimistic Alleluia. Lee Carter is director of the Castenchel choir in Chelsea, QC. He is an educator, musician and respected choral director whose passion for music and teaching others to love music can be found in all facets of his career. Lee currently works at Nepean High School (NHS) conducting the junior and senior choirs, the Chamber Choir, as well as one of the three concert bands. In 2012 Lee was awarded the “Arts Recognition Award for Secondary Music” by the Ottawa Carleton District School Board Advisory Committee on the Arts for his creative directorship, resulting in the NHS vocal program’s phenomenal growth to more than one hundred singers. Lee holds a Bachelor’s of Music from the University of Ottawa where he studied the tuba with Nick Atkinson and voice with Sandra Graham, as well as a Bachelor’s of Education from the same university. Do you enjoy chamber music, or would you like to get started? Do you regularly play with friends, or are you seeking to make chamber music connections? This workshop is for amateur musicians who want to share the love of music, meet other players, and get supportive coaching and advice. You can register individually or as a group. Date: Saturday April 18, 2015. Time: 9:30 a.m. to 6 pm. Location: A private home in Ottawa South. Workshop participants: Students $20, Cammac members $20, All others $30. Outside persons who want to attend the “Group Sight-Reading” only: Cammac members $5, All others $10. Workshop participants will receive one hour of coaching as part of a chamber music group. They may also sit in on the other coaching sessions, and take part in the Group Sight-Reading at no additional cost. The fee is payable by cash or cheque at the workshop. If you cannot afford the (full) fee, please contact the organizers; we aim to make the workshop accessible to all. WHAT: A just-for-fun sight-reading of Gounod’s Petite symphonie, movements 1 and 3. This is a chance to try this charming piece, and to meet some of the players from the other groups. We’ll assign parts on a first-come-first-served basis, and double or triple people on parts as necessary. The piece is set for one flute, two oboes, 2 B-flat clarinets, 2 B-flat horns, and two bassoons. Free scores and recordings are available at http://imslp.org/wiki/Petite_symphonie_(Gounod,_Charles). WHEN: From 2:30 to 3:30 on the day of the workshop (please note change from previously advertised time). Primary contact for registration and info: Christiane Wilke, Christianewilke@gmail.com. Alternate contact: Ellen Bobet, Ellenbobet@sympatico.ca. Bassoonist Jo Ann Simpson received her Bachelor of Music Performance degree from the University of Ottawa, where she studied with Gerald Corey. After a year of post-graduate studies with William Waterhouse in London, she was principal bassoon of the Municipal Symphony Orchestra of Caracas, Venezuela, from 1979-1986. Since returning to Ottawa, Jo Ann has worked as a free-lance player with the National Arts Centre Orchestra, the Montreal Symphony, the Quebec Symphony, the Kingston Symphony, the Ottawa Symphony and the Orchestra of Northern New York. She has appeared as soloist with orchestras in Venezuela, Uruguay and Canada, regularly performs in recitals and chamber music groups, and has been recorded on numerous occasions by CBC Radio and Radio Canada. She is presently principal bassoon of l’Orchestre Symphonique de Gatineau. Jo Ann is professor of bassoon at the Conservatoire de Musique de Gatineau, and at Carleton University. She teaches the bassoonists at Canterbury High School and the Centre d’Excellence Artistique De Lasalle, and runs the Beginner Bassoon Program for the Ottawa Youth Orchestra Academy. She has taught bassoon at SUNY’s Crane School of Music, and is the founder of the only bassoon camp in Canada – Brooke Valley Bassoon Days. Reading of Mass no. 2 in G by Franz Schubert, with Laura Hawley, followed by Annual General Meeting of CAMMAC Ottawa-Gatineau. Date: Saturday May 2, 2015. Location: St. Matthias Anglican Church, 555 Parkdale Ave. (directions are here). Cost: By donation. Non-members of CAMMAC are encouraged to join our organization. The soloists are Anna Lehn, soprano; Sue Postlethwaite, tenor; and Thomas Minde, bass. You can hear the Mass on Youtube at https://www.youtube.com/watch?v=uR3bCiFb-SY. Instruments: Strings, 2 trumpets, timpani; 2 oboes (or clarinets) and 2 bassoons. Scores for instruments are available; please ask at registration. Scores for strings are also available on the IMSLP site. Voices: All choristers (SATB) are welcome. For solos, priority will be given to CAMMAC members and specifically those who have never sung for us before. To register as soloist, please contact Elizabeth at arts.lizajane@gmail.com. Vocal scores will be available at the reading. They are also available on the IMSLP site or on the Choral Wiki site. Practice files for voices are available on Cyberbass. There are also downloadable files at johnfletchermusic.org. Pre-registration is necessary for soloists (STB) and the orchestra. Strings: Khalid, at kmad@rogers.com or 613-829-7277. Other instrumentalists: Elizabeth at arts.lizajane@gmail.com or 613-724-3719. Soloists: Elizabeth at arts.lizajane@gmail.com or 613-724-3719. Laura Hawley is an Ottawa-based music educator, accompanist, composer, and church musician. She holds an ARCT from the Royal Conservatory of Music and completed a Bachelor of Music in piano performance and Master’s in music theory at University of Ottawa and has presented her research both in Canada and internationally. Laura is a member of the Ontario Registered Music Teachers’ Association and maintains a private teaching studio where she teaches piano, theory, harmony and history. She is an Associate Performance Faculty Member (classical piano) and Contract Instructor (conducting, theory) at Carleton University, School for Studies in Art & Culture (Music). Laura was a founding teacher of the Ottawa Summer Piano Camp, has taught for several years at the Deep River Summer Music Camp, and has enjoyed working as a guest clinician with groups including the Suzuki piano school, Harmonia Choir, and Ontario Youth Choir. Ms. Hawley is Director of Music at St. John’s South March Anglican Church in Kanata. In 2014 she was nominated for the prestigious “Leslie Bell Prize for Choral Conducting” through Choirs Ontario and the Ontario Arts Council. 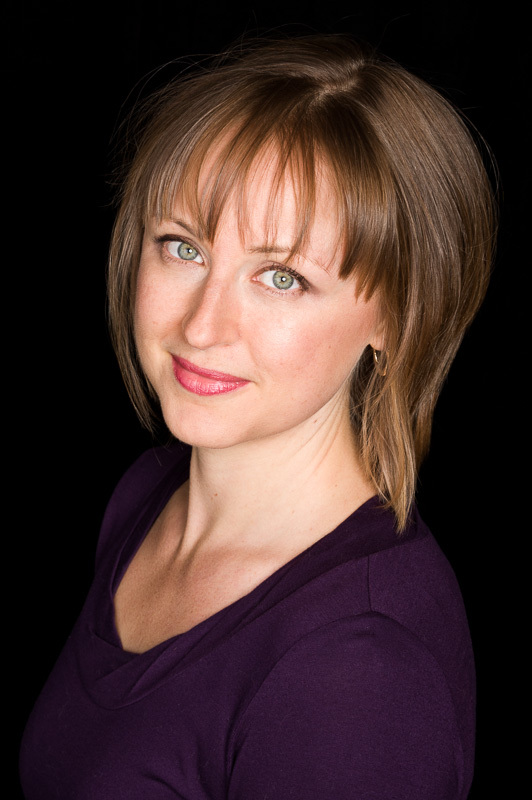 Laura is the accompanist, associate director, and composer-in-residence for the Cantiamo Girls Choir and Training Choir and accompanied the Ottawa Children’s Chamber Choir from 2008-2011. One of her commissioned works, “Au champ d’honneur,” is performed annually on national broadcast at the Remembrance Day Ceremony at the National War Memorial and was arranged for carillon in 2011 and performed on Remembrance Day on the Peace Tower Carillon. Laura’s compositions have been performed by choirs across the country, including the Ontario Youth Choir, Les Choristes (Western University), Prairie Voices, and the Larkin Singers; and are available from Rhythmic Trident Music Publishing. The Annual General Meeting will follow the reading, and is an opportunity for members to review the progress of our organization, voice their concerns and suggestions, and elect Regional Management Committee members for the next year. And of course there will be refreshments after the AGM. If you are interested in joining the Committee, please contact the Chair of the Nominating Committee, Rosalind Bell at rosalindbell@sympatico.ca.